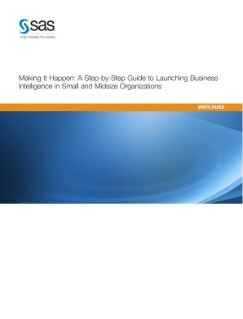 It’s not a question of whether small to midsize businesses will implement their own business intelligence (BI) strategy anymore – it’s when. And how. This white paper outlines key steps to a successful BI launch, including starting with quick wins early on to generate support. It also introduces you to the tools needed to effectively mine and share data across the enterprise.